We serve Brampton, Mississauga, Richmond Hill, Vaughan, Markham and nearby areas. 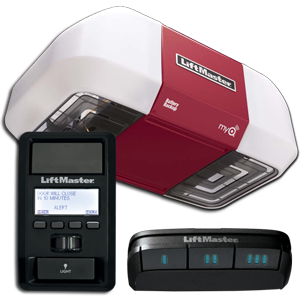 Functioning as the brain of any garage door, the garage door opener is also susceptible to a lot of malfunctions and wear and tear over time. Our experts are highly experienced in identifying and performing a thorough and lasting garage door opener repair. If you are unsure as to whether you have a garage door opener or not, there is a very easy way to know for sure. When you approach the garage door, do you have to get out of your car and open the garage door or gate by hand? Or are you able to remain in the comfort of your car and have the garage door open with the touch of a button or by virtue of your car being present in front of it. We find that a lot of our customers that have had garage door openers installed cannot imagine ever going back. They save time, energy and are a huge bonus in winter. Gone are the days when you would have to get out of your car in the middle of February and freeze as you opened the door to your garage. From the warmth of your car you can glide straight into the garage. If your garage door opener stopped working, our team at Express Garage Door Toronto want to provide you with the quickest and effective garage door opener repair anywhere in Greater Toronto Area – GTA. 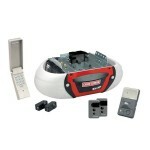 As there are a vast array of gate and garage door opening tools available on the market. It is important to understand the unique requirements of each and every customer. Making sure that you are completely satisfied with the tailored solution we provide is of paramount importance to us. Express Toronto Garage Door Toronto’s qualified technicians are available anytime to help you understand the different products and designs so that you can select the right one that is best for you and your family. Our team of installation technicians at Express Garage Door Toronto are not only able to install these openers, they are also able to provide garage door opener repair and maintenance services. They take their job very seriously as they know that a broken garage door not only can leave your home open to the outside weather conditions but is also a security problem. Thieves will often scout residential and commercial neighbourhoods looking for potential targets based on the condition of a location’s garage door. We implore you not to risk the security of your home and business through a poorly installed or malfunctioning garage door. Our team can make sure that your garage door will not only open at your command, but will remain securely locked by everyone else. An added bonus is that our team is on call to address any issues you may have following installation or repair. We are available to be contacted at any time If you are experiencing trouble with your garage door opener, calling us at (647) 277-1182 is the first step to a fully functioning door and the peace of mind that comes with it.